CEDAR PARK, TX--(Marketwired - December 14, 2016) - Corvalent, a leading manufacturer of long-life industrial motherboards, single board computers and embedded controllers, today announced its new CorServer 2600 server-class product family, bringing Intel® Xeon® performance to the industrial channel. Filling a market void faced by industrial OEMs and application developers, CorServer products uniquely offer Xeon® performance in an application-ready, customizable server-class design with guaranteed longevity of five years or more. Blending high reliability with Corvalent's extensive engineering customization and support, CorServer is optimized for applications in medical, training and simulation, military and defense, security and surveillance, data centers, and video processing. Evaluation units are available on request, on a first come-first served basis. Integrating the Intel® Xeon® E5-2600 v3/v4 processor family, CorServer enables high performance storage and data processing at the edge, while server-class design reduces cost by eliminating unnecessary third-party software certifications. Data-intensive applications gain an operational advantage with data management close to the source, for example reducing challenges of latency and bandwidth by transmitting processed, encrypted files rather than massive amounts of raw data. More reliable and functional than a commercial controller typically deployed at the source, CorServer enables dual-processor performance for Internet of Things (IoT) and number crunching applications such as Big Data analytics, medical imaging, or security and surveillance in critical infrastructure environments. "System longevity is a core design principle for us, driving our customer relationships and custom product development. With CorServer, we recognized the opportunity to blend longevity with a new kind of performance for the industrial channel," said Martin Rudloff, chief technology officer, Corvalent. 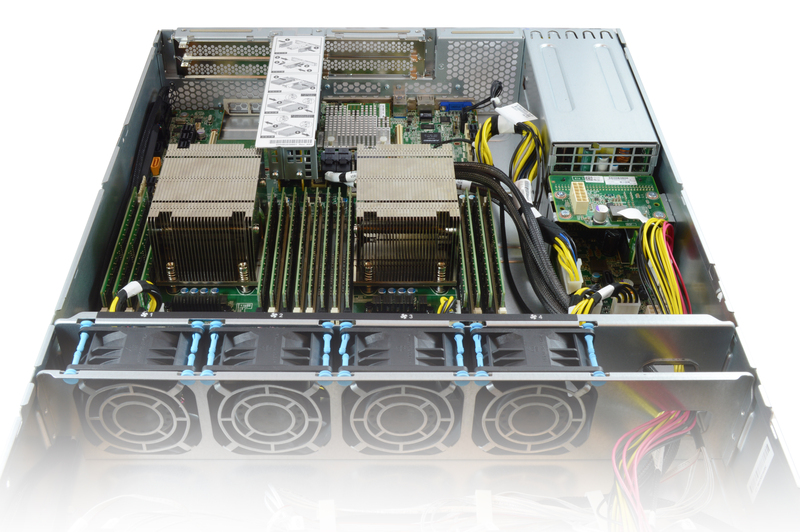 "In the past, short production life, cost, and complexity kept OEMs and application developers from capitalizing on Xeon® performance -- obstacles we have removed by packaging board and chassis into a smart, configurable design. Developers reduce time-to-market with a consistent, high performance system, right-sized in terms of value and proven longevity." The CorServer 2600 family is available in 1U and 2U configurations, with design and layout informed by Corvalent's expertise supporting OEMs and application developers with custom designs. Server board and chassis are optimized to work together, while cabling layout enables airflow supported by low-noise internal fans. The CorServer product family features both server-class and workstation-class systems, offering up to eight channels of 16 DDR4 DIMM memory support, extended temperature operation from 5°C to 35°C, and redundant power supplies and fans to assure rugged reliability. Click here for technical features and specifications on CorServer products, or to request Corvalent's industry white paper on implementing Xeon®-based storage and performance for industrial applications. Corvalent manufactures long-life, rugged computing systems at the heart of OEM systems and devices, including revision- and document-controlled industrial motherboards, single board computers and embedded controllers. Serving industrial customers since 1993, Corvalent offers custom materials planning and advisory services; real-time engineering to address any technology or platform; modification of COTS or standards-based solutions for unique, mission critical applications; and elite, white glove technical support. For more information, call 888-776-7896, visit www.corvalent.com or email marketing@corvalent.com. CorServer server-class systems can be used as powerful data center solutions, or to enable local, high performance computing and storage for embedded applications such as medical imaging or security and surveillance.